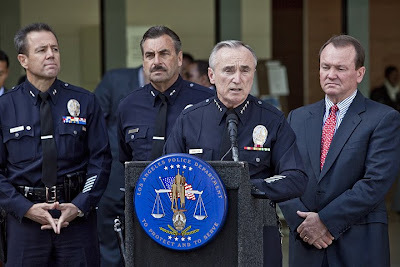 The final three candidates for LAPD Chief appeared with outgoing Chief William Bratton today at the new Police Administration Building. 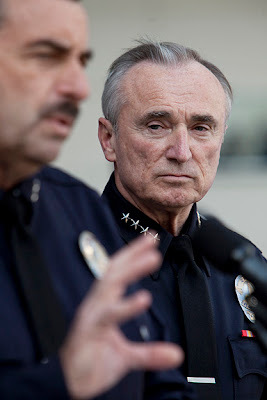 The finalist are First Assistant Chief Jim McDonnell-Bratton's second in Command, Deputy Chief Charlie Beck-LAPD's Chief of Detectives, and Deputy Chief Michael Moore-Commander of LAPD's Valley Bureau. The candidates are to meet and interview with mayor Villaraigosa today, the top candidate will be announced this Monday. Today was also Chief Bratton's final press conference.